Calling all rainbow and unicorn lovers! 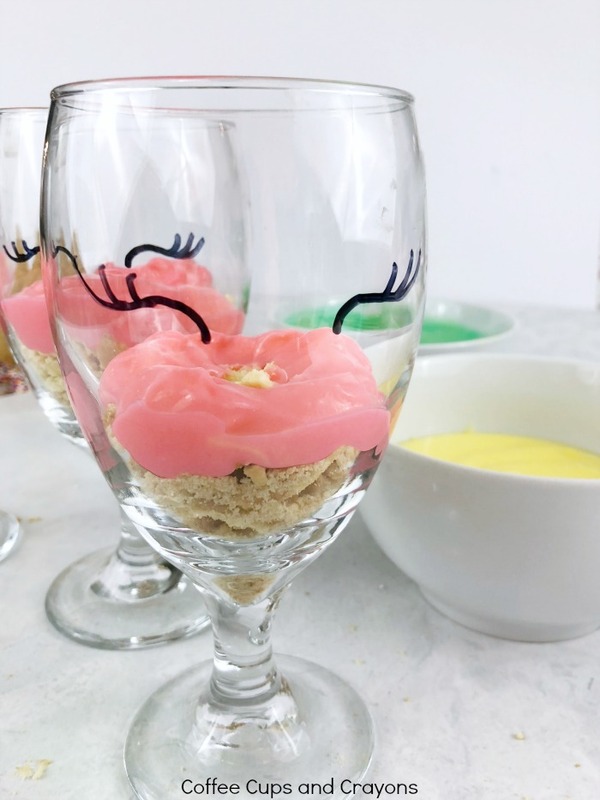 Have you seen all the cute unicorn themed desserts all over Pinterest? They are crazy cute but way too hard for me to make. 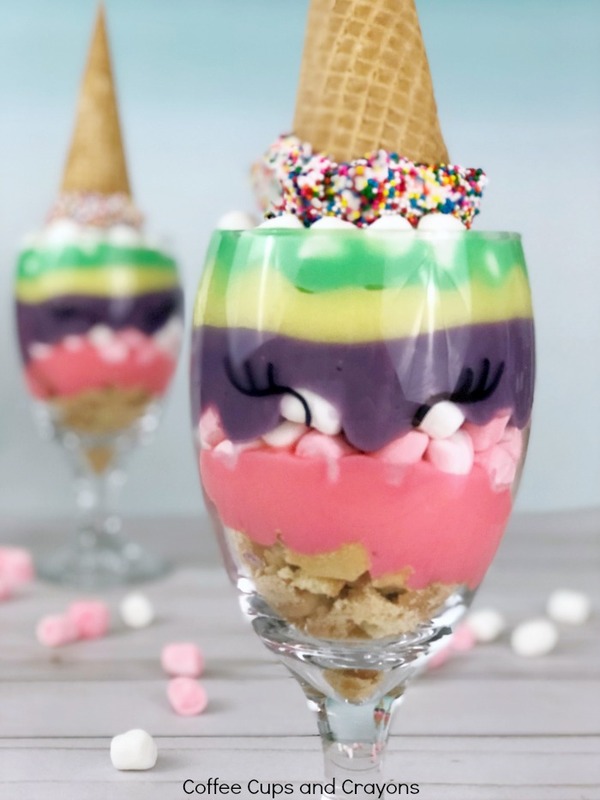 That’s why I love this rainbow unicorn pudding parfait recipe–it’s both simple and adorable! 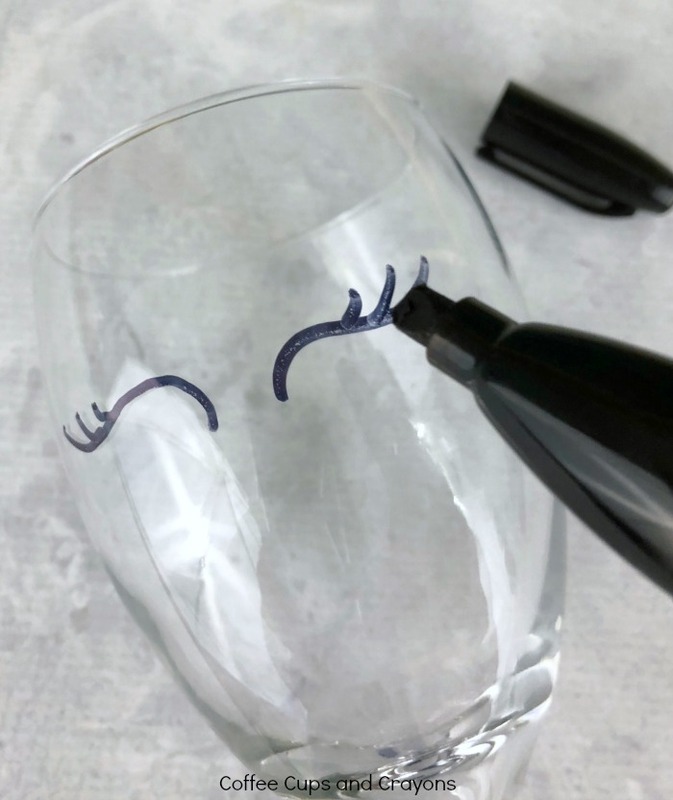 Use the sharpie to draw simple eyes on the cup. 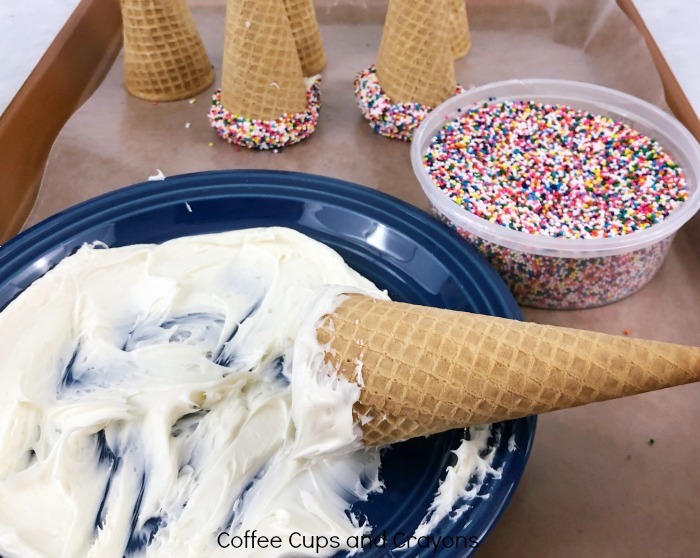 Spread frosting onto a plate, and roll just the ends of the sugar cones in the frosting. Dip the frosted end into sprinkles to cover completely. Place on baking sheet lined in wax paper. Prepare pudding with milk according to box directions. Separate pudding equally between four bowls. 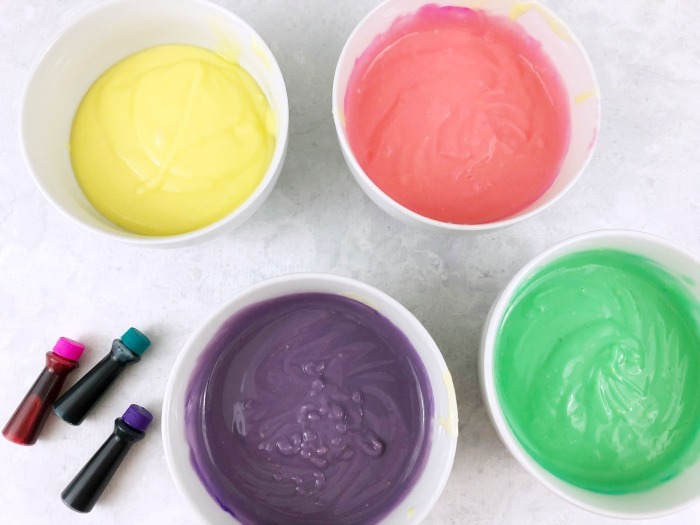 Add 3-4 drops of color in three of the four pudding bowls and mix well (one of the bowls will already be yellow). To build layers, crush vanilla wafers and place them in the bottom of the cup for the first layer. When the pudding is set, add a layer on top of the wafers. Next, create a layer of marshmallows. Then, layer pudding color by color until the glass is full. Top with a final layer marshmallows. Remove sugar cone horn from fridge and place on top. This is a fun recipe to make with your kids! Even toddlers can help crush up the vanilla wafers and mix the pudding. Older kids love to draw on the eyes and create all the different layers. 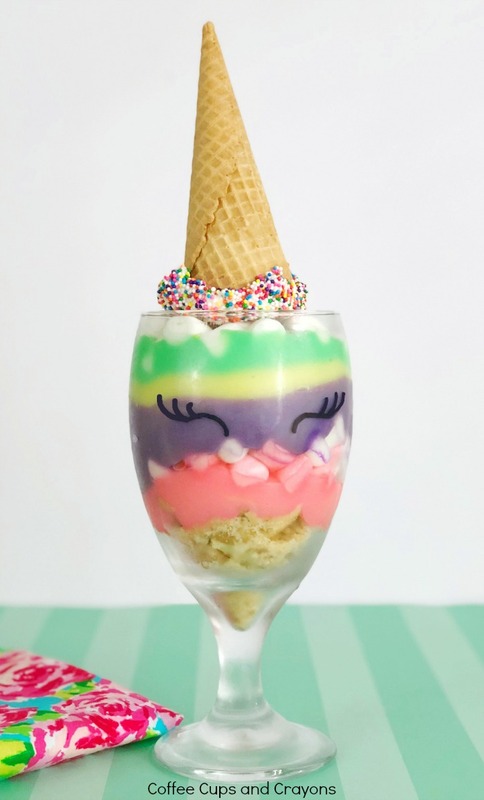 You can even set up a create your own rainbow unicorn pudding parfait station and see what everyone comes up with. There is no wrong or right way to make these parfaits! 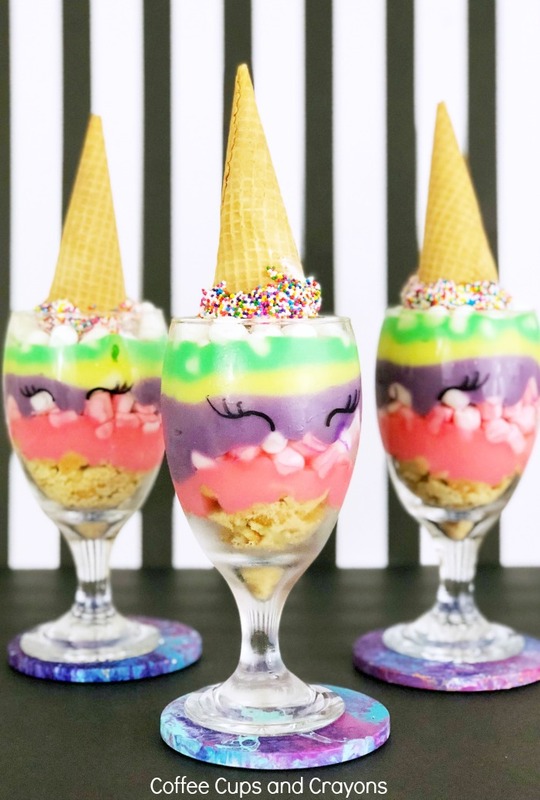 If you love these rainbow unicorn pudding parfaits then you’ll want to try these rainbow snacks too!